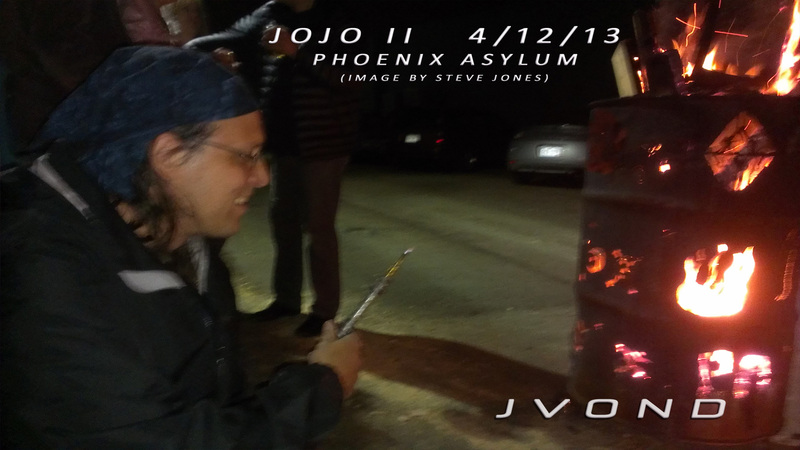 The “JoJo II” debuted last night at the Phoenix Asylum. It seemed to be a big hit. She ran for around 1.5 hours and used less than a shot glass of water. I’m super stoked to have been able to arouse some free energy conversations with the local burning community. I hope that some of the genus thinking from the art co-op will inspire new ideas for implementing the use of this incredible resource. 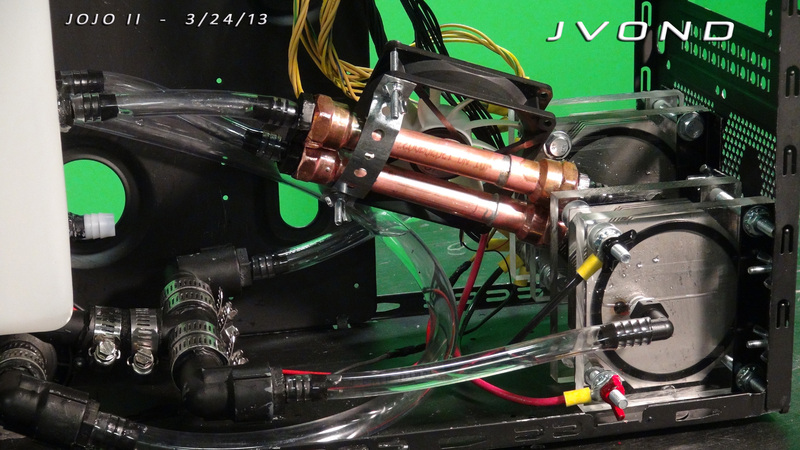 The image above shows the JoJo II , with it’s new updated bubbler, next to the very popular Phoenix Asylum burn-barrel. 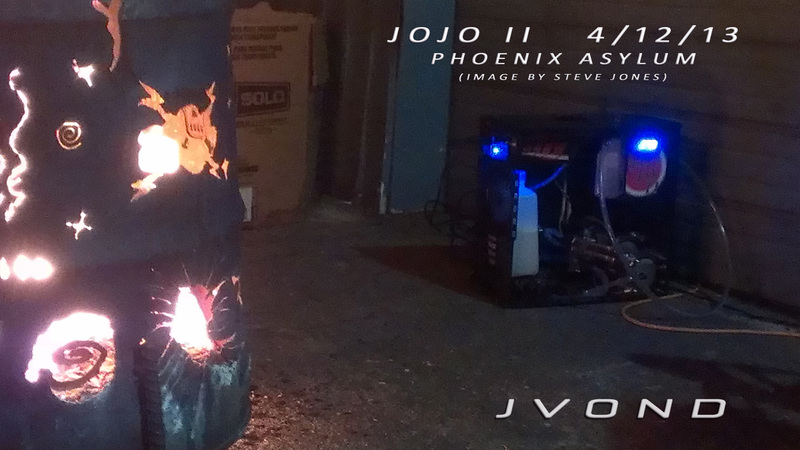 Currently heating the studio with the “JoJo II” with the new heat exchanger. Cick above to watch the youtube video. 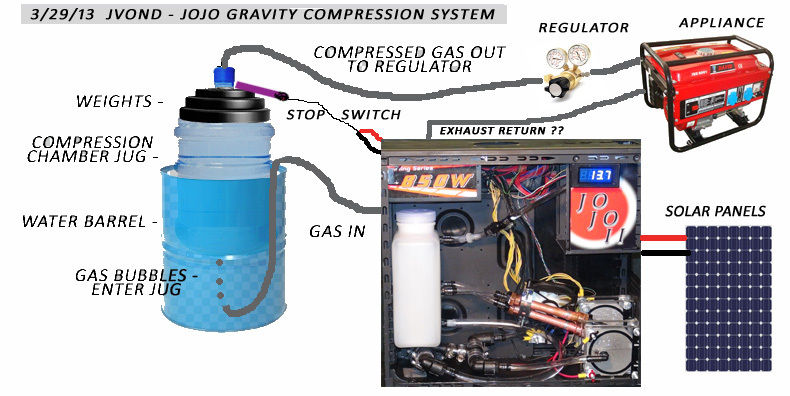 Above is the JoJo Gravity Compression System Concept I. Solar energy provides power to run the JoJo. JoJo fills the compression jug by bubbling through the main water barrel. 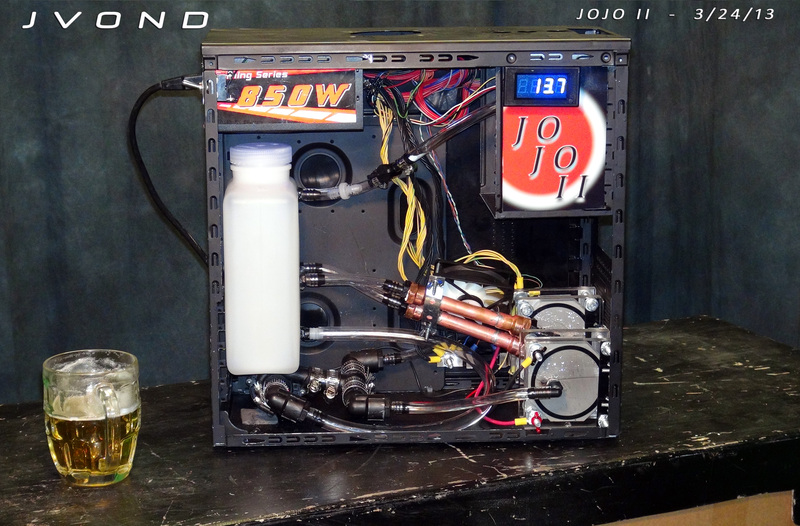 The compression jug rises to the level where it shuts off the JoJo. a combustion engine creating a close circuit and thus a free energy system. The image above is the egauge reading from my solar panel meter on 3/27/13 where I am currently running my home’s big screen tv, a couple computers in the studio, a couple stereo receiver’s with like 10+ speakers, some lights, and the “JoJo II” HHO Power Plant at the same time. This means I am producing double the amount of energy that I am taking in. FREE ENERGY!!!!! 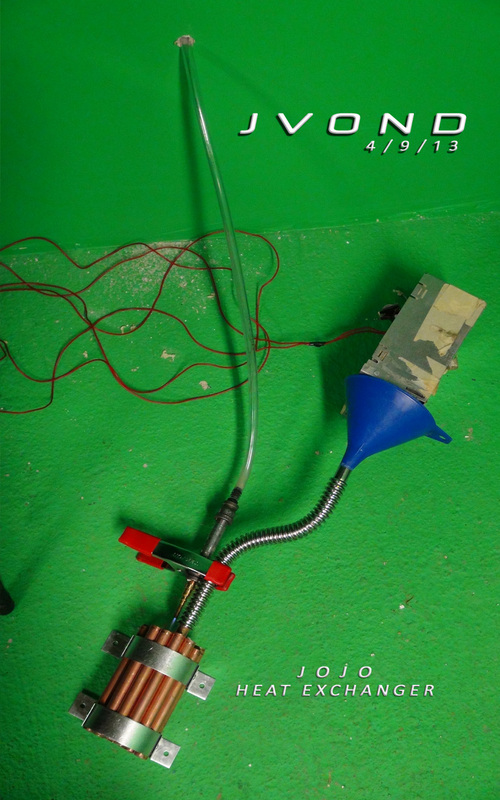 This is part of the main concept, to be able to produce and compress the HHO gas during the day into a tank for use at night. The Sun is providing all the power needed. I really wanted to post this because there are a lot of skeptics claiming that producing HHO takes more energy than used. NOT TRUE! I could run a couple more JoJo’s off this setup. electricity, water, and a small amount of electrolyte. I recently added the heat syncs, fan, digital amp meter, and new reservoir. I also remounted the dry cells in a much nicer configuration. 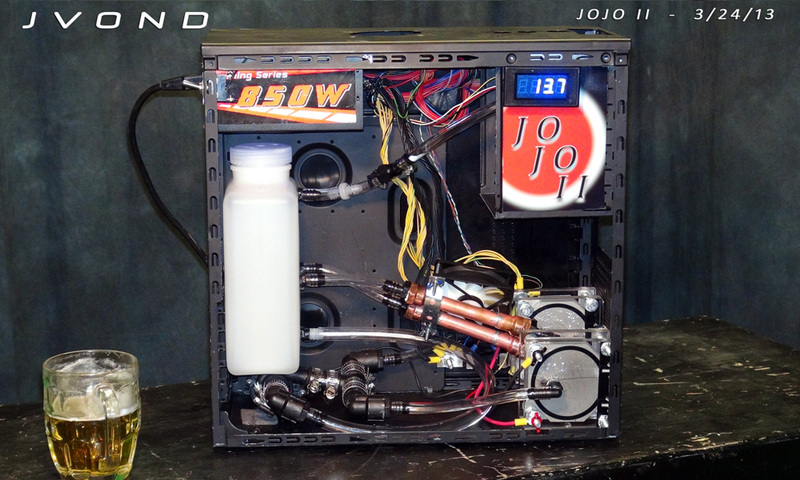 The JoJo is a “free energy” concept. 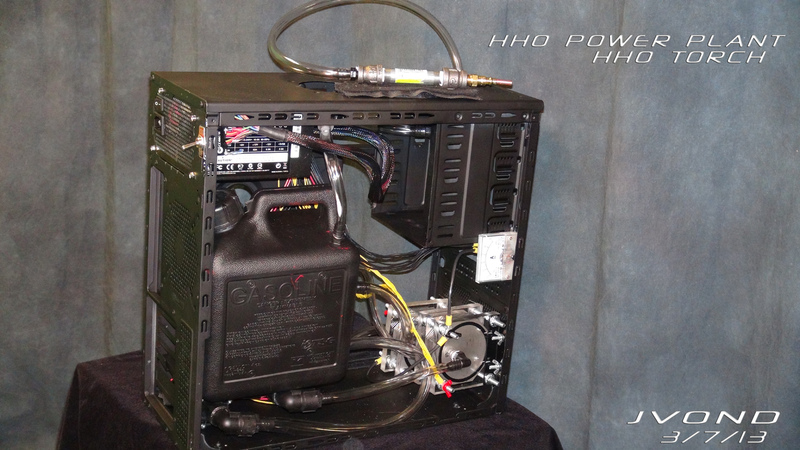 It recycles an regular computer case and power supply. All you need is the sun hitting solar panels, water, minerals, and some Earthy motivation. This is dangerous so be careful and feel free to ask me questions. Above is the “JoJo I”. It blew up. The reservoir exploded when it got brital from a long 6 hour day of running non-stop plus late night short runs leading to a lot of expansion/compression and temperature change. ignite. Not to sure how it ignited. The torch was a couple feet away. The power supply shorted out and is dead. The reservoir was completely destroyed. The “JoJo” is named after my mom. It’s genesis was on her BDay.